Today there are a lot of great high-powered yet small bass heads on the market, and they are generally very good units. Genz Benz, Markbass and Gallien-Krueger dominate this market, but there is yet another choice – the Aguilar Tone Hammer 500. 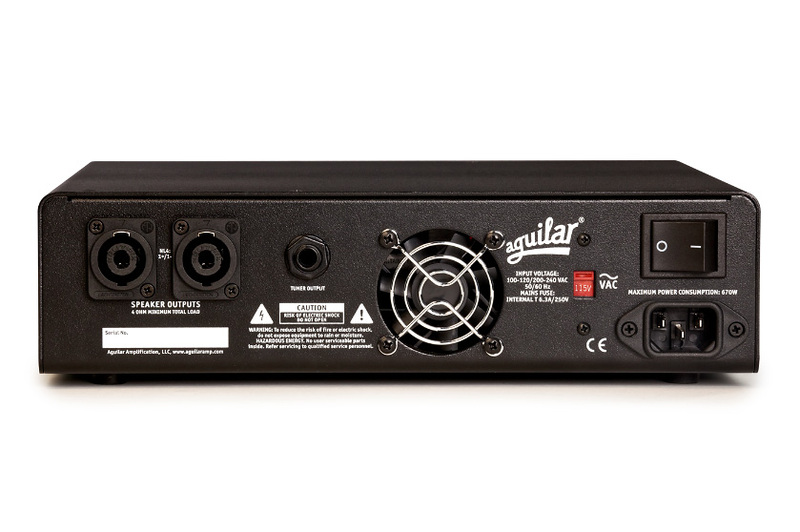 Aguilar has been making extra-nice tube bass amplifiers since 1995, and they have a reputation for high quality as well as a clean and warm vintage tone. The Tone Hammer 500 aims at recreating this tone, but in a totally solid-state package; there is not even a tube for the pre-amp. 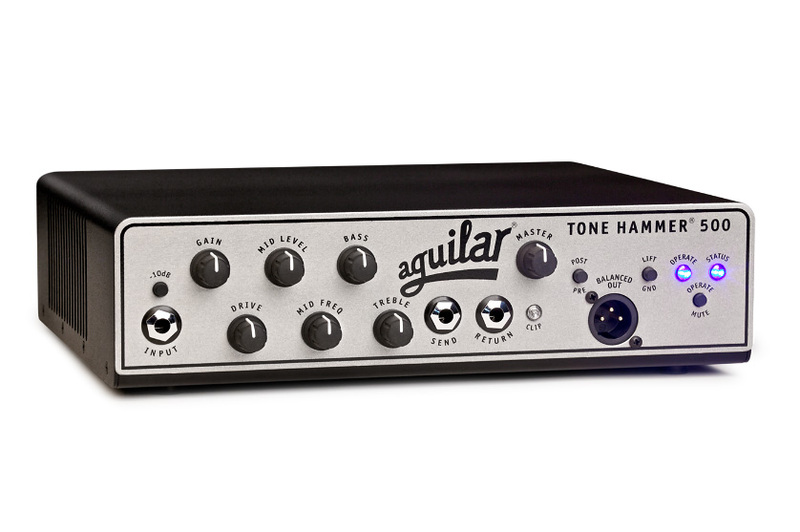 By the way , this amplifier is essentially an Aguilar Tone Hammer preamp/direct box with a class D amplifier added on. This unit is rated at 500watts at 4 ohms and 250 watts at 8 ohms, and it is very small, measuring 10" x 3" x 9". It is very light as well, coming in at around 4 pounds. Despite its light weight and small size it seems to be very solidly built. I hooked the Tone Hammer 500 up to a pair of Genz Benz Shuttle STL-12T cabinets, so I could get a good comparison to my Shuttle 6.0 amplifier and I came away very impressed. 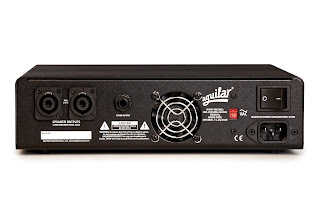 I tested it out with my Stingray Classic, as well as some P basses and a Sadowsky PJ, and I got some very tube-like tones out of it, and it is definitely voiced like the other Aguilar amplifiers I have played before. With all of the controls set flat, it did a wonderful job of reproducing the inherent tone of whatever instrument I was using at the time. And as I started to futz with the knobs (especially the drive knob) I was able to get a panoply of tones from it -- everything from an aggressive growl down to a warm and mellow purr. At high volume levels it never got very harsh, and I actually had trouble getting a high-fidelity tone out of it. They really did make this thing sound like a tube amplifier! As far as volume goes, this thing is just as loud as my Shuttle, which is rated at 600 watts. I guess manufacturers can rate things however they want, but the proof is in the pudding. It is plenty loud for smaller shows or quieter bands, but if you are really going to crank it out and compete with the guys with the Marshall stacks, you will need to bring another amplifier or go through the PA system. Aguilar’s pricing seems to be in line with the rest of the industry, and the Tone Hammer 500 has a list price of $949, and a street price of $699. If I did not already own the Genz Benz Shuttle I would probably buy one of these, as I think it edges out the Genz a bit in the tone department, and does not give up anything in volume.